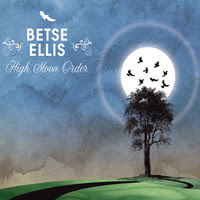 Kansas City fiddler Betse Ellis has released her second album, High Moon Order. She founded and played for the last several years with alt-country band The Wilders, but on this album she's pulled together a group of musicians in service of her own sound. It's a striking sound - unvarnished vocals, absolutely fiery fiddling and a variation in tempos from quietly beautiful to ferocious, especially on the upbeat punk number "The Complainer". The original songs are strong, and the musicianship is never less than stellar. This is a diverse, well-played, really terrific album - highly recommended if you like cowpunk outfits like The Old 97's and Whiskeytown, or other female country/folk artists we've featured here, like Tift Merritt and Bonnie Whitmore. High Moon Order is out now on Free Dirt Records via Trade Root Music. The Soul Corner - Darlene Love "Lean On Me"